A rustic and classy wedding frame for the new couple! 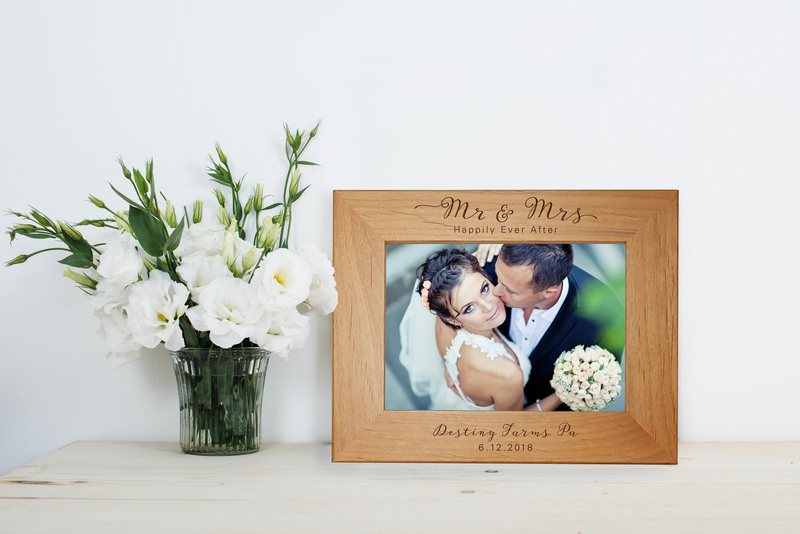 This solid wood frame will look great in any home decor and will surely be a great wedding gift for your favorite couple! *Please provide text for bottom of frame.